Towels for dishes There are 36 products. 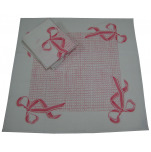 Towels for dishes, white, 65x65 cm printed 4 pink knots ribbons 56% linen and 44% cotton. Special to wipe the glasses. 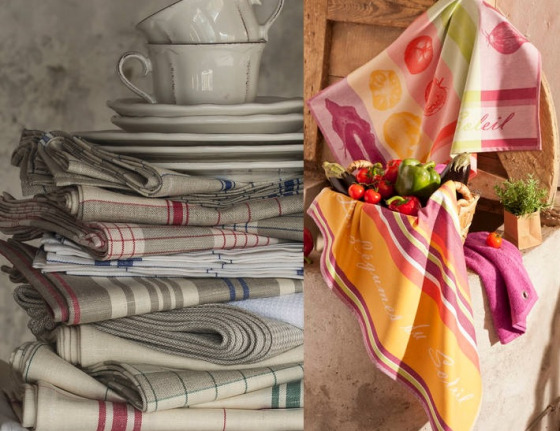 Towels for dishes, 65x70 cm, mixed 60% linen and 40% cotton, ecru color (ecru become white after washing) and red. Towels for dishes crystals 68x68 cm, 93% linen and 7% cotton. Towels for dishes excellent for all the dishes and especially for crystal glasses. Towels for dishes +/-68x68cm, 100% cotton dyed yarn, red grid on white background, very absorbent, professional quality. Towels for dishes +/-68x68cm, 100% cotton dyed yarn, blue grid on white background, very absorbent, professional quality. Towels for dishes +/-68x68cm, 100% cotton dyed yarn, gray grid on white background, very absorbent, professional quality. Towels for dishes +/- 70x65 cm, 100% cotton dyed yarn, blue and white checkered. Washable at 60°C. Resists dryer. Towels for dishes +/- 70x65 cm, 100% cotton dyed yarn, white checkered white background. Washable at 60°C. Resists dryer. Towels for dishes +/- 70x65 cm, 100% cotton dyed yarn, black and white checkered. Washable at 60°C. Resists dryer. 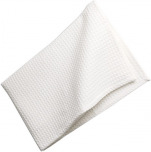 Waffle cloth Towels for dishes, white, 100% cotton, 75x50 cm, 200 gr/m². 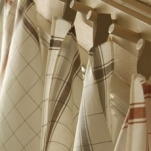 Towels for dishes cama 68x68 cm, 93% linen and 7% cotton. Towels for dishes for all the dishes and especially for crystal glasses. Towels for dishes +/- 70x65 cm, 100% embossed cotton, blue and white checkered. Washable at 60°C. Resists dryer.